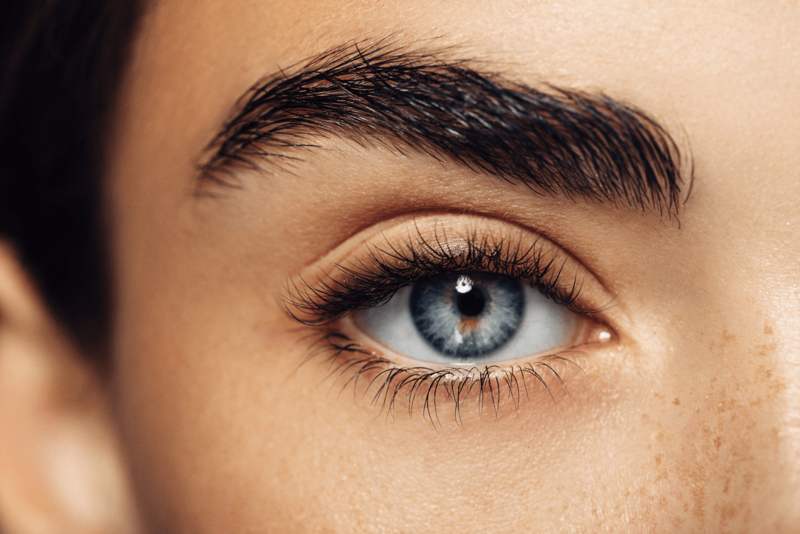 It’s no secret that maintaining a healthy, balanced diet and regular exercise are key to maintaining good health — but what may not be as commonly understood is the large role this can play in the health of your eyes as well. As of 2015, diabetes affected close to 30 million Americans, and roughly another 1.5 million are diagnosed every year. Diabetes is a metabolic disease that affects the way our bodies make or use insulin, resulting in high blood sugar that can have a wide range of effects on the body. While Type 1 diabetes is borne of a genetic defect, Type 2 diabetes is generally the result of poor diet and lack of exercise, which leads to obesity. Diabetes causes a laundry list of effects on the body’s health, including vision loss due to diabetic retinopathy. Diabetic retinopathy is a diabetic eye disease in which high blood sugar levels in the body cause damage to the retinal blood vessel in the eye. This condition is the biggest cause of preventable vision loss in Americans ages 20 - 65. There are two types of diabetic retinopathy: nonproliferative, which is early-stage diabetic retinopathy where small blood vessels leak blood or fluid into the eye, and proliferative, which occurs when new abnormal, frail blood vessels begin to grow and cause scar tissue. Macular Ischemia, which is when small blood vessels close—causing insufficient blood supply. This leads to blurred vision. Macular Edema, which causes vision loss if leakage from the blood vessels causes the macula to swell. This can result in vision loss ranging from mild to severe, and is also the most common reason for vision loss due to diabetes. Proliferative diabetic retinopathy (PDR) is capable of causing more severe vision loss due to the fact that it affects both central and peripheral vision. When retinal blood vessels close, the retina responds to the lack of blood flow by growing new vessels. However, the new vessels are more fragile and their growth can cause scar tissue, which may lead to retina damage. Vitreous Hemorrhage, which occurs when the new, more frail blood vessels leak into the eye, causing “floaters” to appear. Though it’s normal to have a few eye floaters, an abundance of leakage can severely hinder your ability to see, and it can take up to months for the blood to resolve. Traction Retinal Detachment occurs when scar tissue from abnormal blood vessels causes the retina to pull away. This “wrinkling” can produce distortions in your vision and even lead to severe loss of vision if the macula or retina detaches. Neovascular Glaucoma can occur if blood vessel closure is extreme, leading to more abnormal vessel growth into the iris. This blocks the normal flow of fluid from the eye and instigates an increase in eye pressure that is not only painful, but can damage the optic nerve, leading to vision loss. Seeing an ophthalmologist regularly for a dilated eye exam is the only way to diagnose diabetic retinopathy and other diabetic eye diseases before they begin to affect your vision. Early diagnosis and treatment can prevent diabetic eye diseases from progressing to the point of vision loss, and once the condition is detected, your ophthalmologist can begin more specialized testing to help determine the course of treatment and your visual prognosis. Once diagnosed, your ophthalmologist will determine the right treatment process for you in order to preserve your vision. Laser surgery is commonly recommended for patients with PDR, macular edema, and neovascular glaucoma. Those with NPDR, macular edema, and even PDR have experienced some positive results from intraocular steroid injections, as well. However, in more severe forms of PDR, a vitrectomy may be performed, where the eye’s vitreous is drained and replaced with a clear solution in order to remove the blood floaters that have leaked into the eye. During a vitrectomy, abnormal blood vessels are also removed to prevent further blood leakage and the retina can be reattached if it has been pulled away. Vision loss due to diabetes and diabetic eye disease is completely preventable, but it’s up to you to take your health in your hands. Early diagnosis and treatment can prevent the progression of vision loss due to this disease. See your trusted ophthalmologist for regular dilated eye exams and work to manage your diabetes through nutrition, exercise, and medication as prescribed by your doctor. If you’re concerned about vision loss due to diabetic eye disease, Retina Specialty Institute is ready to help you fight to preserve your vision. With over 20 years of experience in retina health, our team of physicians is prepared to give you the quality eye treatment you need. Contact us today to learn more about our advanced treatments, or to schedule your first visit with Retina Specialty Institute. We look forward to seeing you!